Double blade razors are like tandem bicycles. They should exist, but for comfort’s sake, they should never be used. Don’t get me wrong; I’m grateful for the toiletries kit the Delta employee gave me when we both realized it could be a few days before I saw my lost luggage. I’ve managed to squeeze 10 uses out of the tiny tube of Colgate, and the miniature deodorant is kind of soothing on my razor burn. Beggars cannot be choosers, but still, TWO blades? Still, I’d prefer to have my luggage. 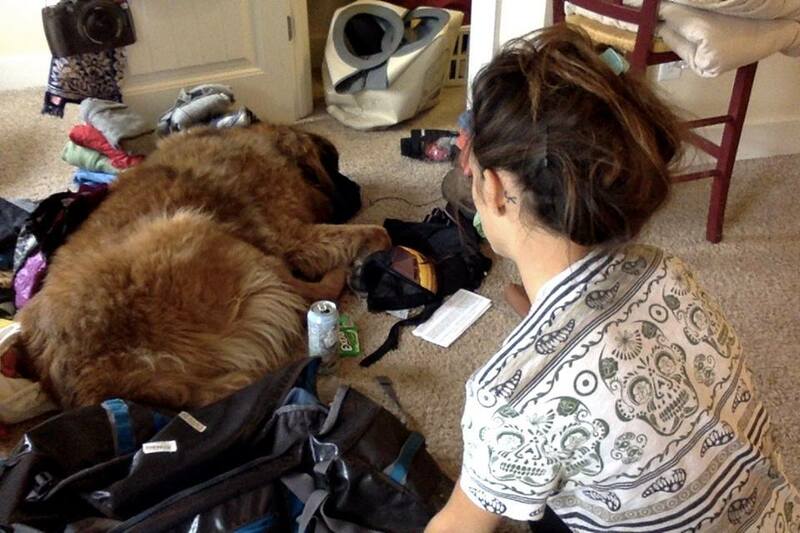 My beloved duffel bag was last seen on the morning of Sunday, April 30 at Billings International (because apparently it has flights to Canada?) Airport. I was supposed to reunite with it in Newark later that evening. Despite a two-hour delay in Minneapolis, where I already had a generous layover, my bag did not make it onto the plane to Newark. If it was held up by drug dogs, I understand. If it was simply lost in the shuffle, I understand. If some luggage handler has his feet propped up on it right now and is taking a nap, I also understand. That’s a tough job. See how much thought and planning I pour into the packing process? Jokes aside, it’s been five days and three countries since I last laid eyes on it. Two of those days were spent in Iceland being the village idiot because A. I wasn’t dressed for the rainy weather and B. I tried to compensate for that by buying an umbrella. 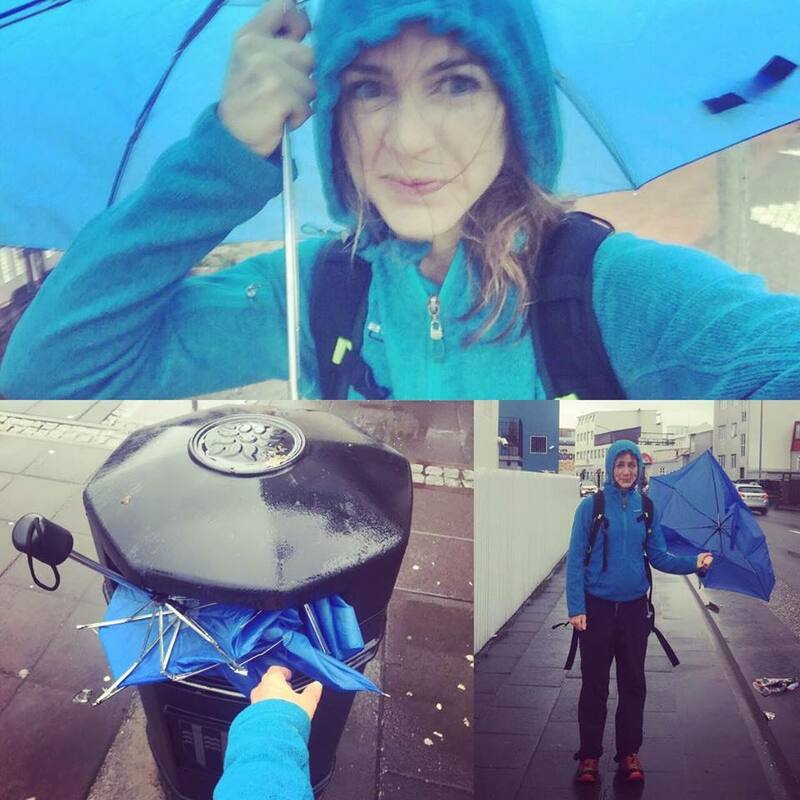 As I found out, Iceland is where good umbrellas go to die. Fortunately, I have the receipt, so I will submit it and hope Delta reimburses me for it. As much as I loathe throwing things away, there comes a time when you realize someone is going to lose an eye. I also hope Delta reimburses me for the rain jacket and dry pants I had to buy after my umbrella lost its short-lived battle with a wind that took no prisoners. For Katie vs. Rain & Wind Round II, I opted to invest in armor, even if it was going to cost a few hundred dollars. 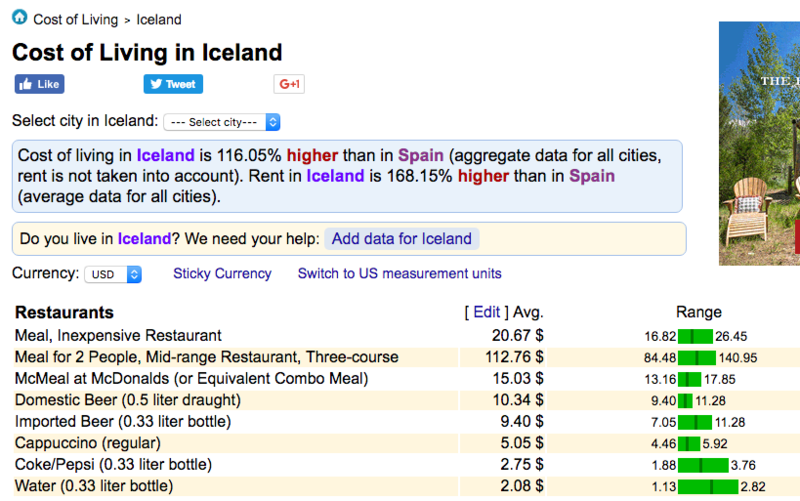 Iceland is expensive. As I told a friend, expect to pay room service and mini bar prices, at fast food joints and grocery stores. I’ve been to Iceland before, in late January, so I know you should pack warm clothes and not plan on buying them in Reykjavik unless you want to take out a second mortgage. That’s why I dedicated 25% of my duffel bag to bringing my proper gear. Which was/is sitting in a lost & found somewhere. I hope. That’s right. $15 gets you a meal at Micky D’s. Anyway, my new water-resistant pants? $200. My waterproof rain jacket? $200. And those weren’t even the higher end items I was looking at. Fjallraven had a neat anorak for about $600. Slap a kangaroo pouch on something and TADA! The price triples. Fortunately, the hotel receptionist in Reykjavik noticed I was leaving puddles in my wake when I checked in. He also noticed that I had no luggage. Taking pity on me, and before he left the desk to fetch a mop, he said he wouldn’t charge me for the buffet breakfast. Mind you, I was staying at a low-cost hotel (twin-sized bed, practically touching three walls) but it still saved me $14 USD. In Iceland, that gets you the equivalent of a Days Inn continental breakfast sans waffle maker and miniature boxes of cereal. This hotel bought its puffed rice in bulk and just poured it into a big bowl. The hot part of the buffet was the thermos of water available for mixing with the instant coffee packets. $14! 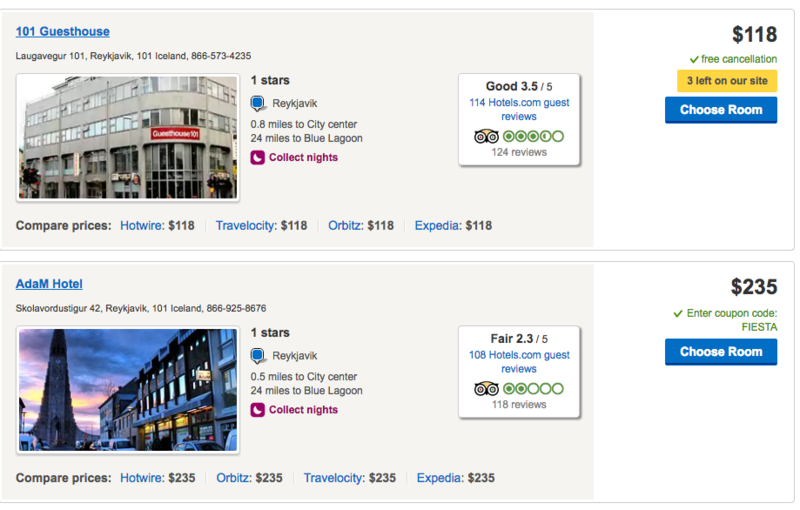 Cost of a one-star hotel in Reykjavik. That’s like the equivalent of a Motel 3 in the U.S.
By the time I left Iceland for Spain, I was dry, fed and looking forward to reuniting with my luggage in Tenerife. The Delta employee at Newark had taken down the address of my apartment in Tenerife and my phone number. Delta’s convenient online missing bag tracker informed me my bag had arrived in Europe, via Amsterdam, and I was told it would be delivered to my apartment in Tenerife. That was three days ago. 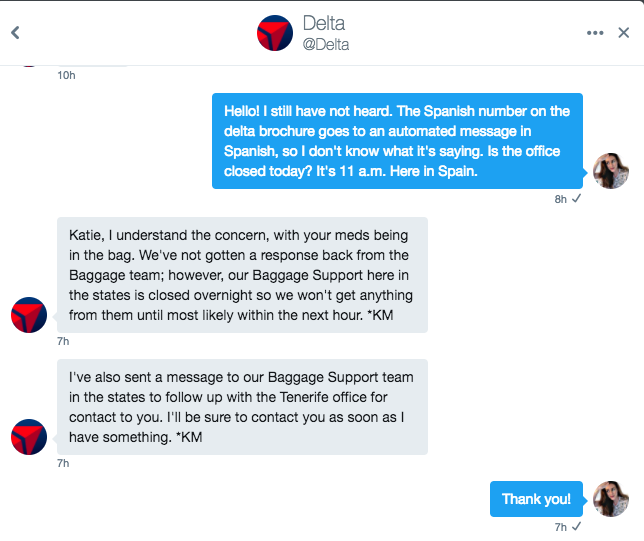 Since then, I’ve called Delta’s baggage number in Spain several times a day. The first two days I was connected to a friendly operator who was able to locate my bag (I think) and assured me someone would call me when it was en route. 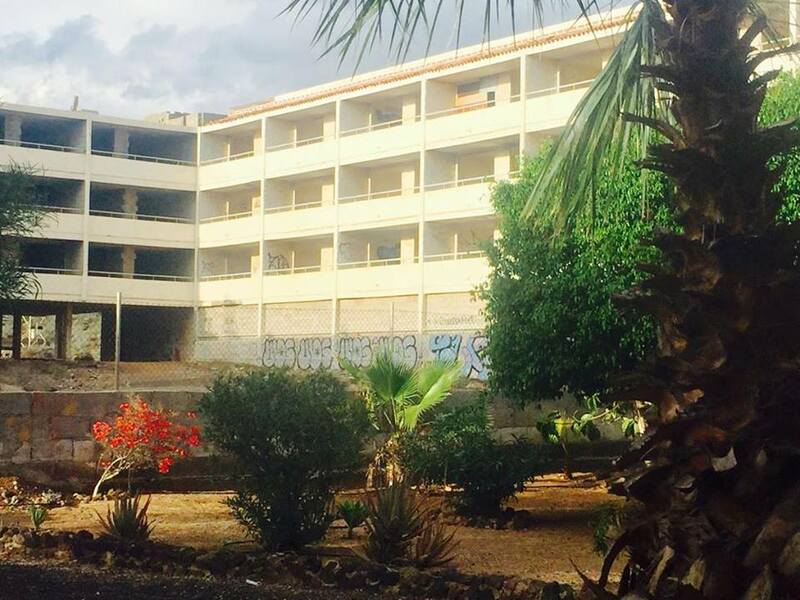 My apartment is about 10 minutes from the airport in Tenerife. I gave them my local Spanish cell number, and even though I was planning on rationing my data usage, I’ve left it on 24/7 in the hopes a Spanish delivery man would ring. He hasn’t. In fact, this morning, when I tried calling the Spanish number for Delta, I got an automated message that ended with a dial tone. Almost as if it was disconnected. Either that, or the friendly employee I spoke to is on holiday. I can’t tell because I can’t understand the recording. I know enough Spanish to order a seven-ingredient omelet, but I can’t understand it when it’s spoken 200 mph into a bad connection. Also, Tenerife is hot. So despite trying to save money by washing my Sunday clothes (which I wore on the flight to Newark and every day since), I’ve had to buy more clothes which I will have to charge to Delta. The apartment I’m staying at does have a small washer, no dryer; however, the electricity situation here (I’m staying in a ghetto of sorts) is iffy at best so last night I blew a circuit. On the bright side, I finally met my neighbors who had the audacity to accuse me of trying to blow dry my hair while running the washing machine. I don’t even have a blow dryer! The view from my front porch. My apartment building is definitely more finished, but I think the electrical guys cut out early or they lost financing at that point or something. To make matters worse, my skin is flaring up. My $175 Rodan & Fields skin care regimen is, you guessed it, in my missing duffel bag. 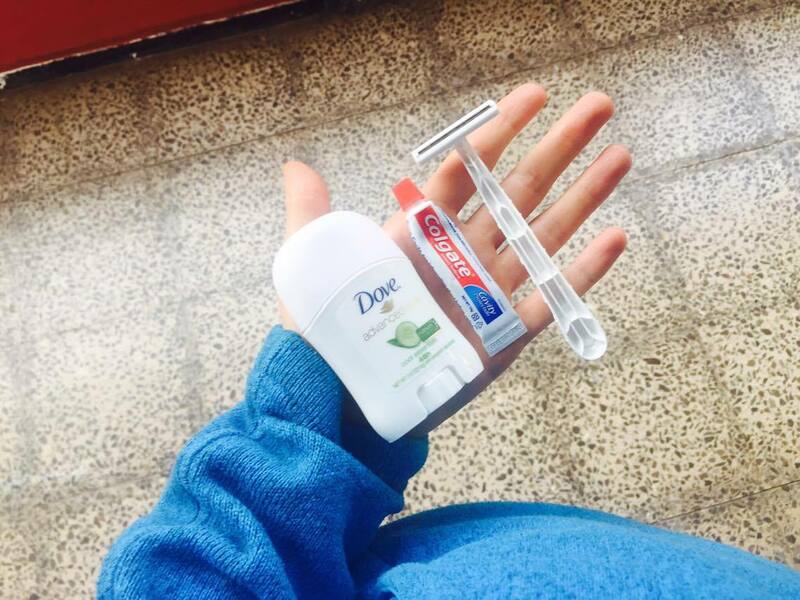 In the same toiletries kit, I have a five-blade razor and a month’s worth of medication. For starters, I’m on 80 mg Prozac/day for my OCD. That’s like enough to make the entire state of Texas happy. For two months. To say my anxiety levels are high would be an understatement. Which is probably why I’m getting stomach pains too. Although, that could be a result of not having my azathioprine which is collecting dust in my duffel bag. In addition to my Remicade infusions, I take azathioprine every day to help with my Crohn’s disease. So basically, yesterday, I was at the pharmacy in Las Galletas (ironically, it translates into “the cookies”) trying to figure out how you say “second coming of puberty” in Spanish because I’m pretty sure that’s all the pharmacist needed to know to help me. I ended up leaving with some green foam, blue moisturizer, herbal capsules that smell like urine and these cheap plastic sunglasses which I will also charge to Delta. My polarized Ray Ban’s and SMITH cycling sunglasses – about $400 worth –are keeping my Prozac company. When you try to run your errands after lunch and the entire town is napping. Since I came here to cycle, I also had to drop about $100 on a cycling kit. Sorry, Delta, but I’ve paid my dues of riding without padded shorts. If you think razor burn is bad, try chafing on top of it. What’s really frustrating, however, is that my cycling pedals and shoes are in my missing bag. So, the bike shop had to put on pedals with cages and the cages are so big they drag on the ground if I don’t have my feet in them just right. I’ve already had a few near-accidents because they’ve gotten snagged on the ground. I would hate for the white cross on the side of the road to be because I tripped on my cage and got hit by a British tourist in a Fiat Punto who was simply trying to escape the rain and enjoy some sun for a change. Have you ever heard the Cumbrian accent? 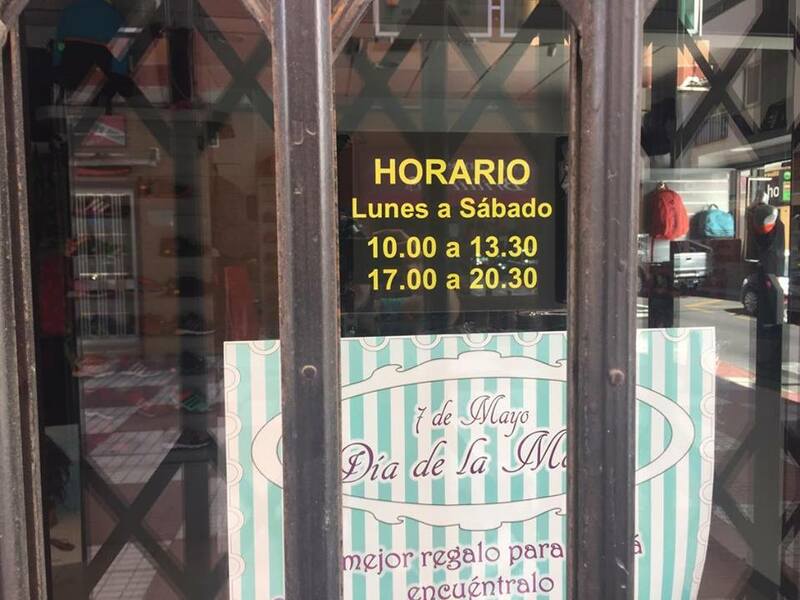 It’s English, but harder for me to understand than Spanish. Also, the only difference between Iceland and Tenerife? About 100 degrees Fahrenheit. 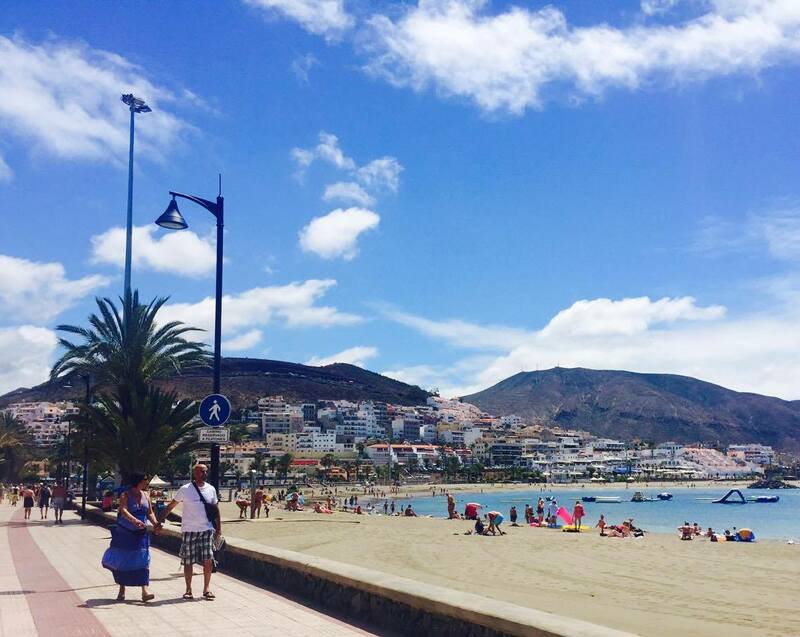 Speaking of sun, it’s bloody hot here in Tenerife so everyone goes to the beach to swim. My swimming suit, is in my luggage, so today I had to do something most women wouldn’t even wish upon their worst frenemy. I HAD TO TRY ON SWIMMING SUITS. The fitting room mirrors don’t care if you’re a size 0 or a size 14. They are designed to make you think your thighs need their own zip code and your belly has no business even being in the same store as a bikini. Alas, I did buy a bikini. Which I will have to charge to Delta. I should be excited. I have a new swimming suit that I didn’t even have to pay for. Except I’m not. I’m terrified about the prospect of using that damn two-blade razor to get me bikini-body ready. You’d be surprised at how little “Good Coverage” gets you. P.S. As a brand ambassador for RedOxx, I should be the last person making the mistake of checking a bag. Their best-selling bags are designed to comply with the standards of any airline’s carry-on policy. Wow. It seems to get worse at each step of your journey. It seems like you have a lot of valuables packed in that bag… I hope you get everything back! I am a frequent flyer (175 to 220 days a year) and always check bags. I’ve been lucky not to have but a couple of issues in the past 10 years with missing bags but they’ve always turned up within 24 hours. They always say take medications and valuables in your carry on which would be my advise. I’m even going to start taking a change of clothes in my carry on as well since I just got the C-ruck Carry-on Rucksack from Red Oxx. Another tip – I would look at getting an annual travel insurance plan which will cover things that the airlines might not. I was recently stranded in Berlin due to an airport ground services strike and had to get down to Frankfurt to catch another flight. The travel insurance not only covered most of my expenses but paid very quickly. A comprehensive policy is roughly $300/year… money well spent! On another note, I also just got a Red Oxx Safari Beanos PR5.5 that I plan to inaugurate next week when I go to Israel. Lastly, another tip (and maybe you already do this) is to stick to one airline to build up status (as well as be faithful to the group they are part of, be it Star Alliance or Sky Team) – airlines seem to really take care of their loyal customers. Hoping you have better luck for the end of your trip than for the beginning. Hi Kevin, what´s your email address so I can properly respond? Gracias! What a terrible start to your trip! Was it your Red Oxx bag that was lost? Hi Jenna, it gets worse:( Although I got my luggage back my car was broken into the next day and my computer and wallet was stolen. They also took my travel journal:( I have terrible luck right now!